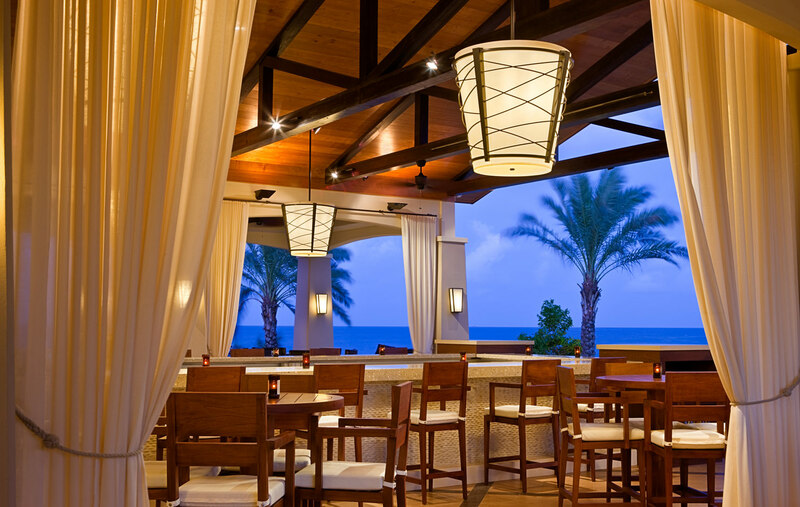 This 350-room resort hotel is part of a larger mixed-use development known as Santa Barbara Plantation. 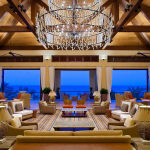 The project encompasses a luxury resort, 30-slip marina, beach club, 52 vacation club units, 128 condominium homes, 106 residential lots, and 94 terrace homes. 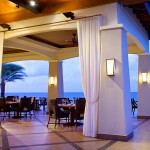 It also includes an 18-hole championship golf course – the first signature golf course on the island – designed by top golf architect Peter Dye. 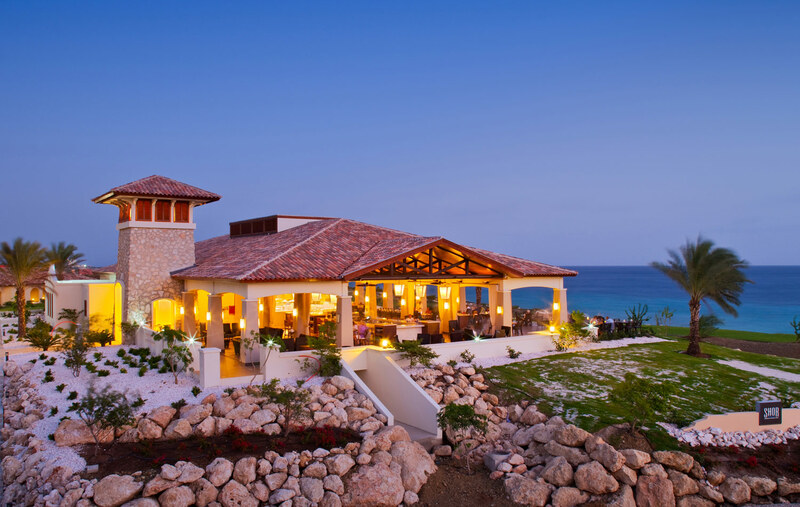 With the use of a neutral palette, warm wood finishes, and local stone materials the interior design of the hotel evokes a feeling of welcoming in keeping with its Caribbean location. 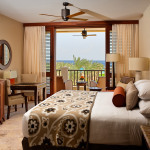 The property offers a combination of traditional guestrooms and seaside bungalows for a private retreat. 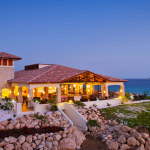 An overview shot of the resort. 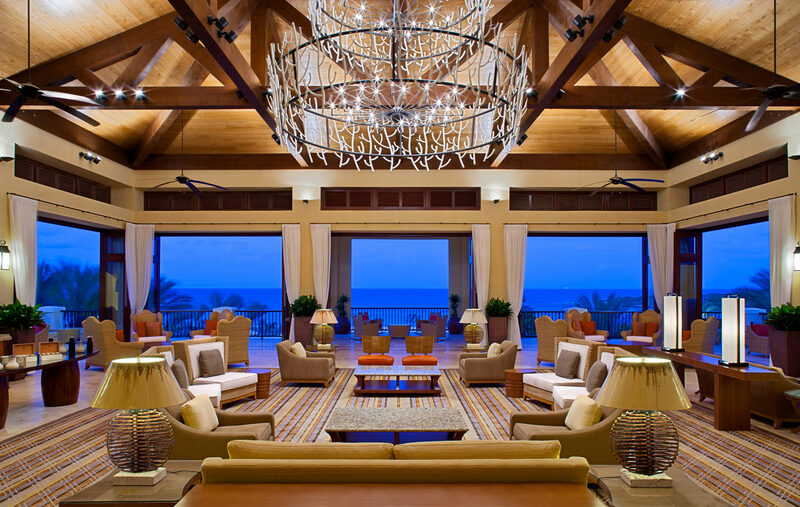 The cabin lounge area next to the sea. 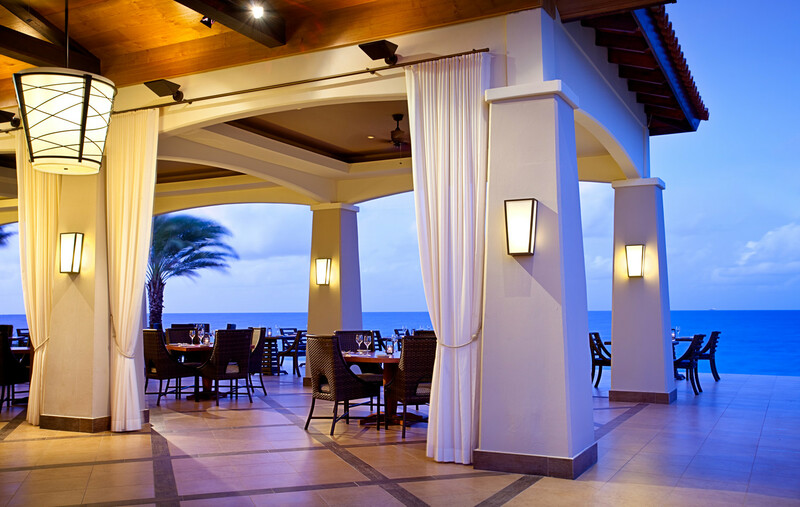 The outdoor dining area next to the sea. 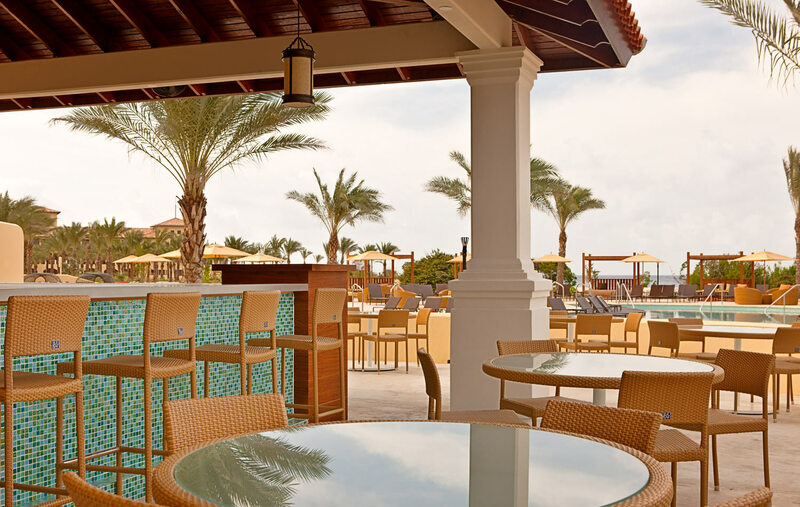 The beautiful outdoor bar overlooking the sea with palm trees. 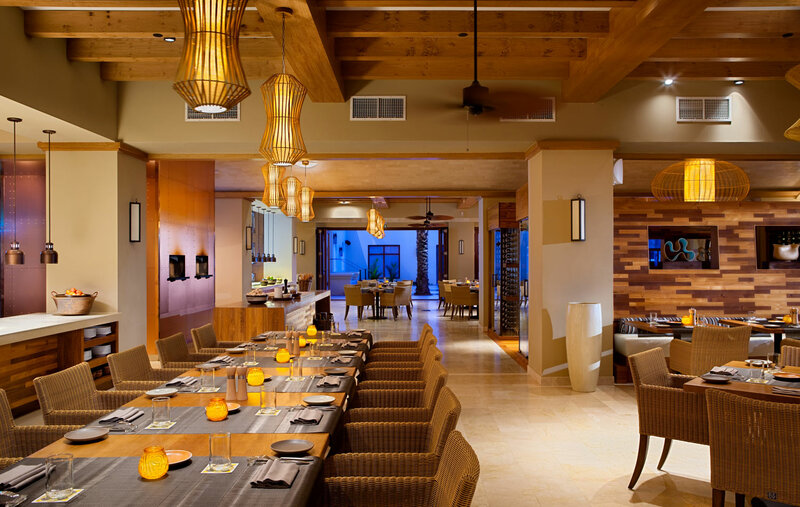 The full dining room at Hyatt Regency Curacao. 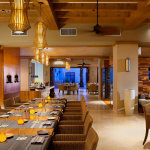 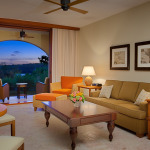 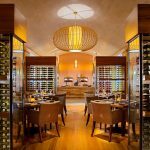 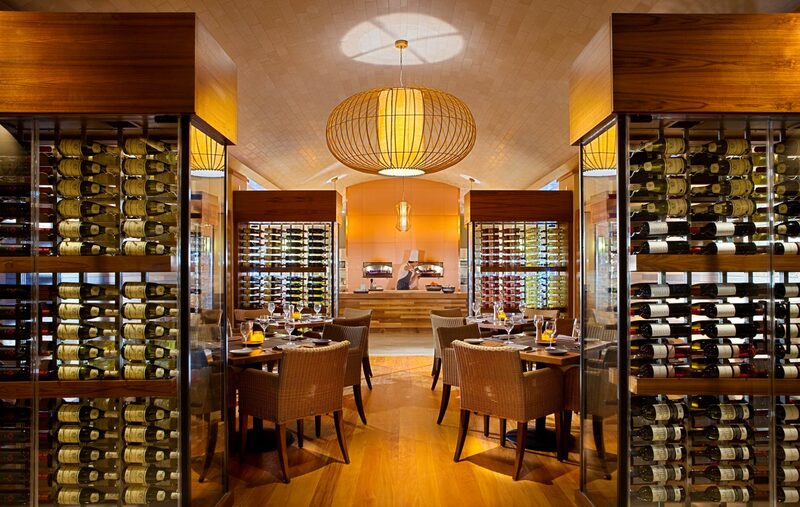 The wine cellar, dining room, and kitchen at the Hyatt Regency Curacao. 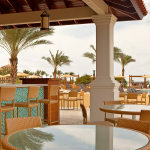 The pool and resort with poolside seats and a bar. 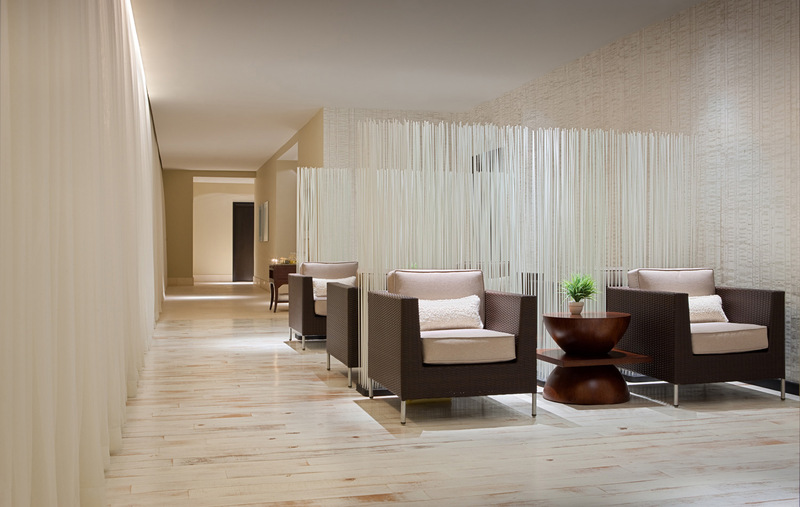 The lobby at the Hyatt with modern strip walls. 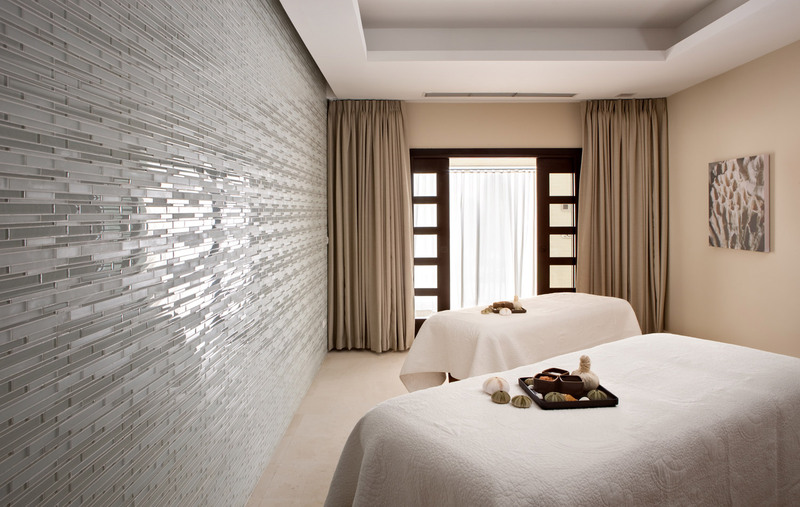 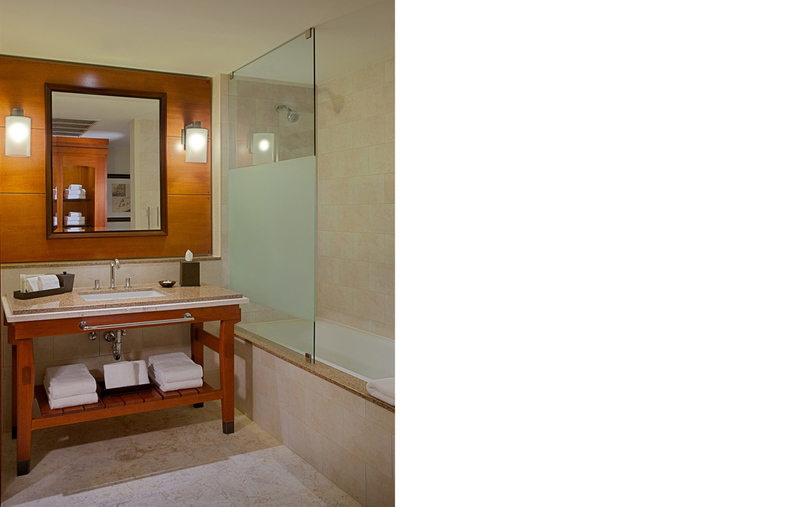 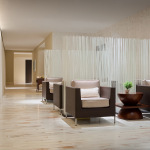 A spa room at the Hyatt Regency Curacao. 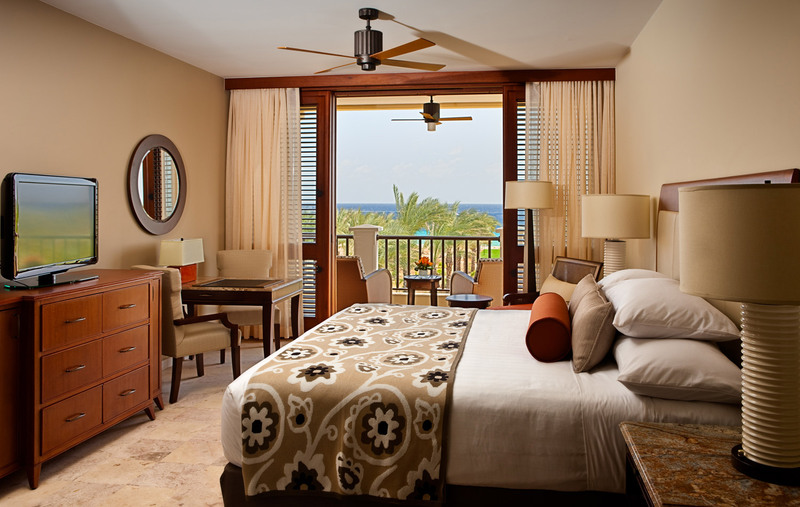 A master bedroom overlooking the sea. 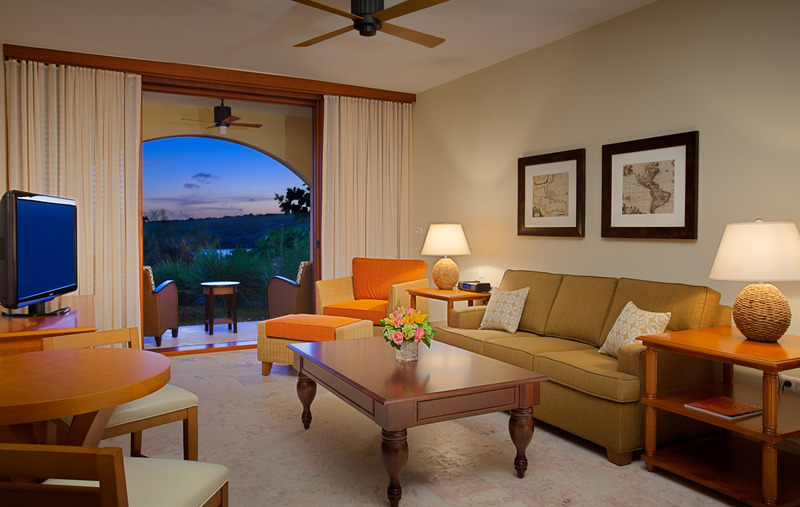 A hotel room with multiple lounging areas, including an open patio. 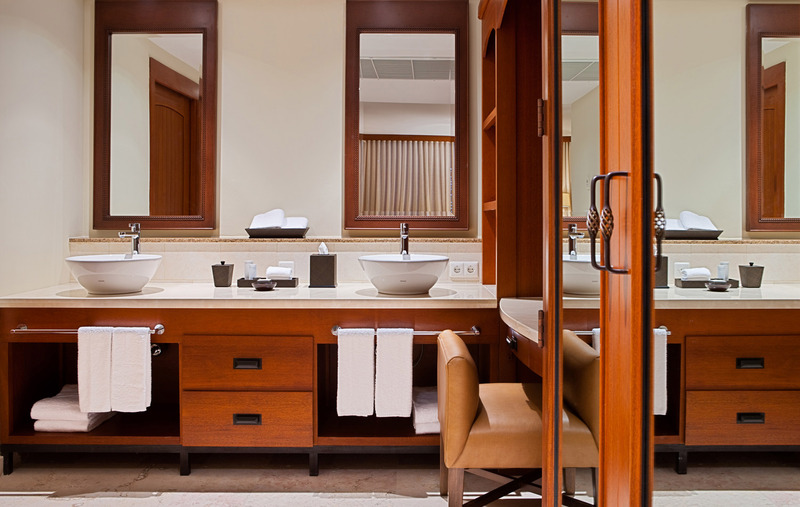 A bathroom with modern design. 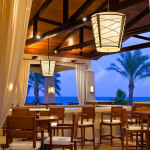 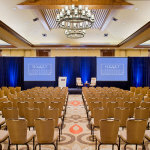 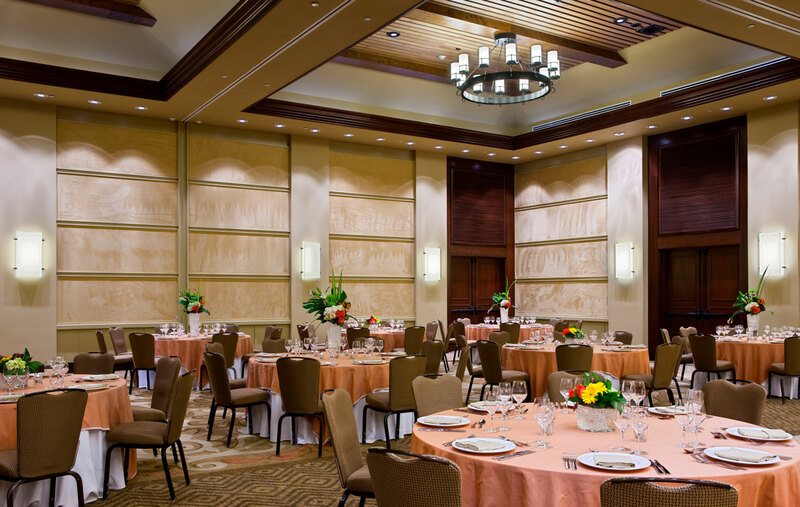 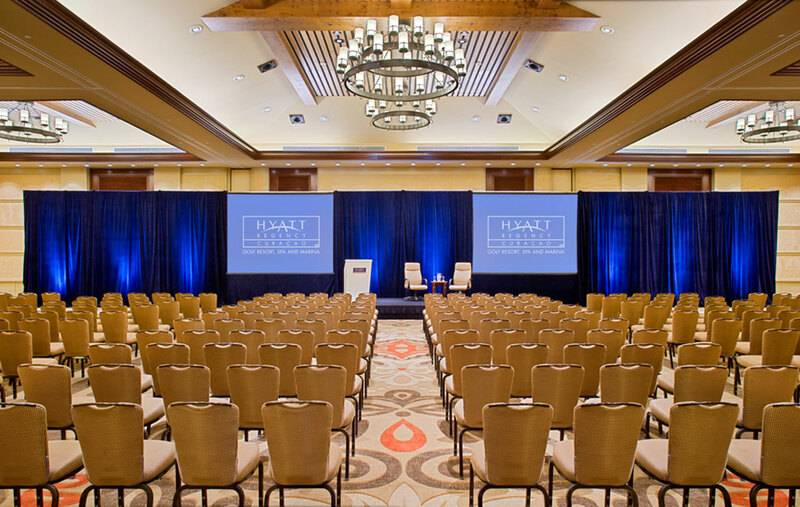 The ballroom at Hyatt Regency Curacao Golf Resort Spa & Marina. 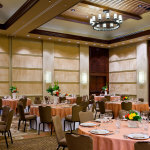 The conference room at the hotel.